In the middle of December, I was in Tokyo for part of my year-end holidays. 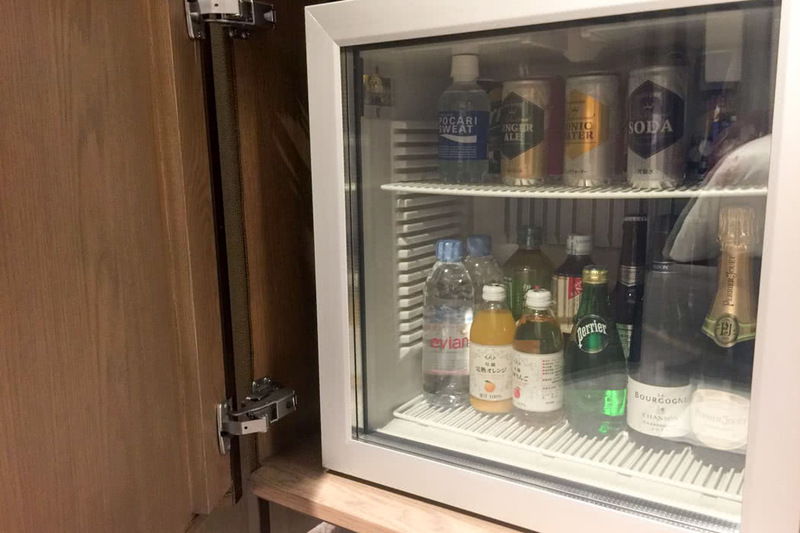 For this trip, I stayed at a Club Room at the ANA InterContinental Tokyo. Located in the prestigious Ark Hills development in the business district of Akasaka, ANA InterContinental Tokyo prides itself with its theme of “When Tradition meets Luxury” .The 37 storey hotel has 844 guest rooms (including 43 suites) and 11 restaurant and bars – including the 2 Michelin star restaurant Pierre Gagnaire. The hotel also has 24 banquet rooms of varying sizes for corporate functions. 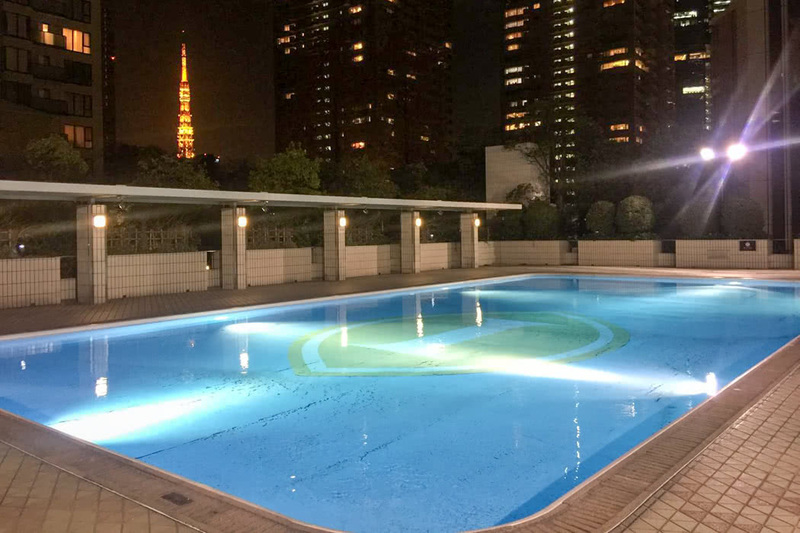 Location wise, the hotel is within walking distance to other parts of Akasaka, the government offices in Kasumigaseki, and the bustling nightlife of Roppongi. There are 2 subway stations at the doorstep of the hotel as well: Tameike-sanno (Ginza line) and Roppongi-itchome (Namboku line). 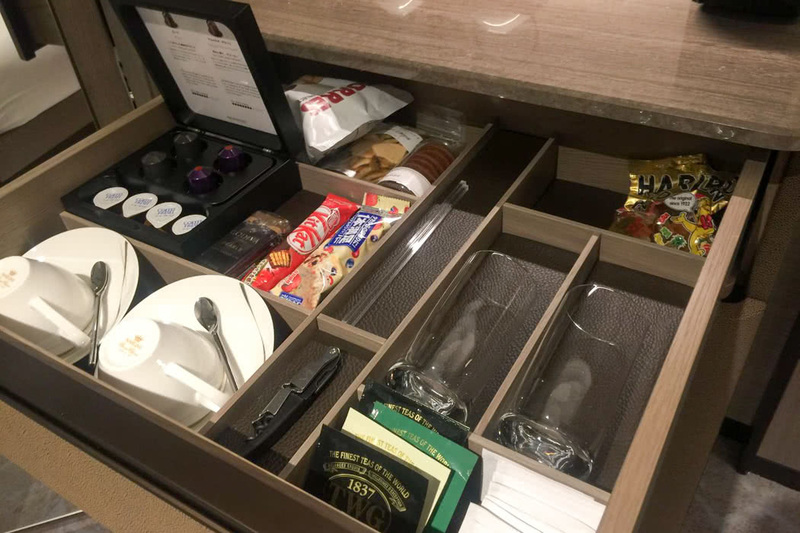 The hotel is also amongst the list of hotels which the Airport Limousine stops at, so you can go directly to and from both Haneda and Narita airport. I arrived at the hotel in the evening. 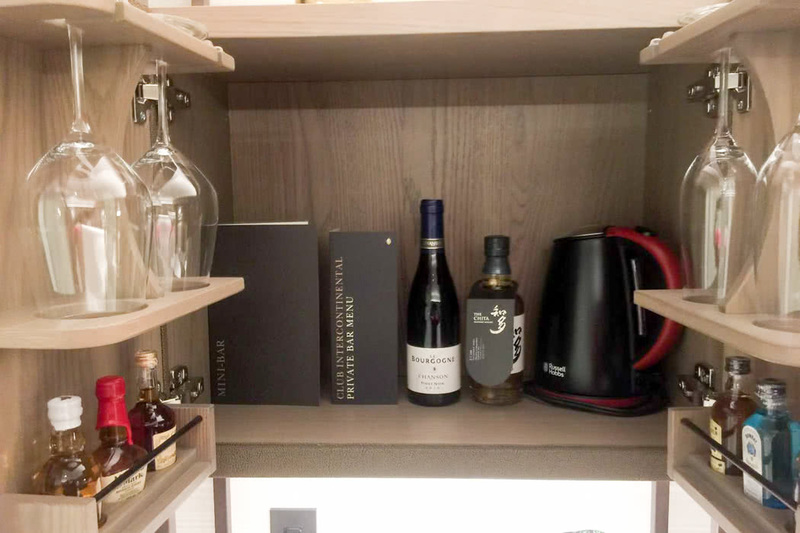 After a prompt check-in, I was whisked to my newly renovated Club room at level 33. 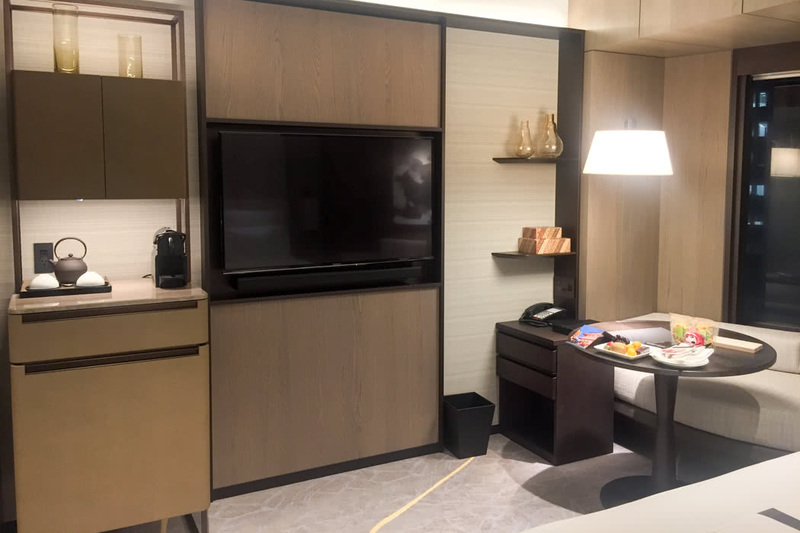 The new Club rooms, launched in November 2017, is inspired by the Japanese design concept of “Kintsugi”, the centuries-old art of restoring functionality. The art involves using a special lacquer, dusted with powdered gold, silver of platinum to repair broken objects. The restored pieces are unique, and in line with the Japanese philosophy of ‘wabi-sabi’, which means to find beauty in imperfection. The design philosophy is apparent immediately upon stepping into the room, the new carpet has a gold streak running through. The gold streak is also apparent in the new artwork hanging in the bedroom and bathroom. For the rest of the room, the colour scheme is a warm and classy hue of grey and brown. The minimalist design and soft furnishing exudes a sense of calm and sophistication. In the centre of the room is my large and comfortable king bed, while a long sofa lines the wall against the window. 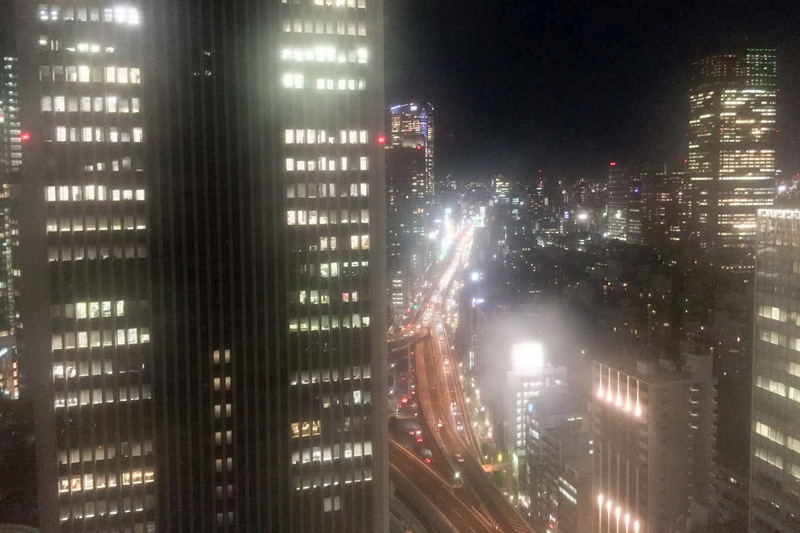 My room looks towards Roppongi. On a clear day, Mount Fuji is also visible! Next to the sofa stood a large round table with a plate of welcome fruits and my ambassador welcome gifts. Facing the bed is a flat screen TV, and a Nespresso coffee machine and mini fridge with a solid selection rounds up the room. 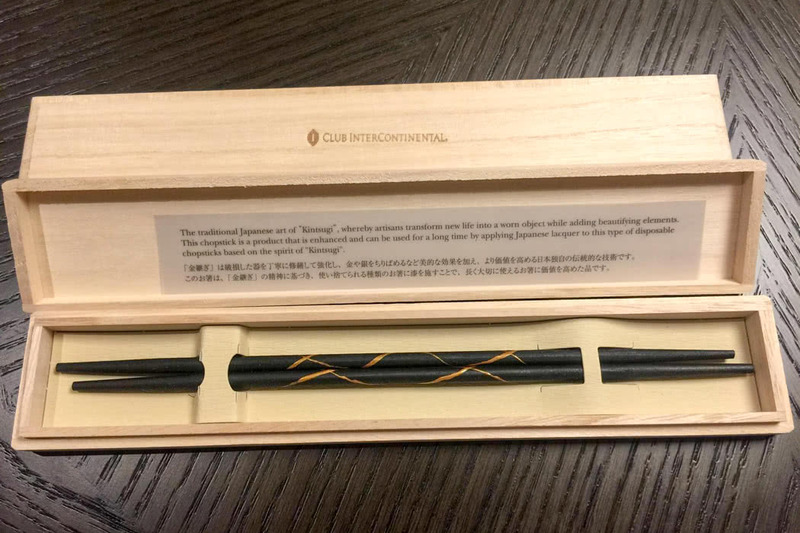 For my ambassador gifts, I received a traditional Japanese Daruma doll and a pair of beautiful kintsugi inspired chopsticks with gold coloured lines running through it. I was a bit surprised by the bathroom when I walked into the room. 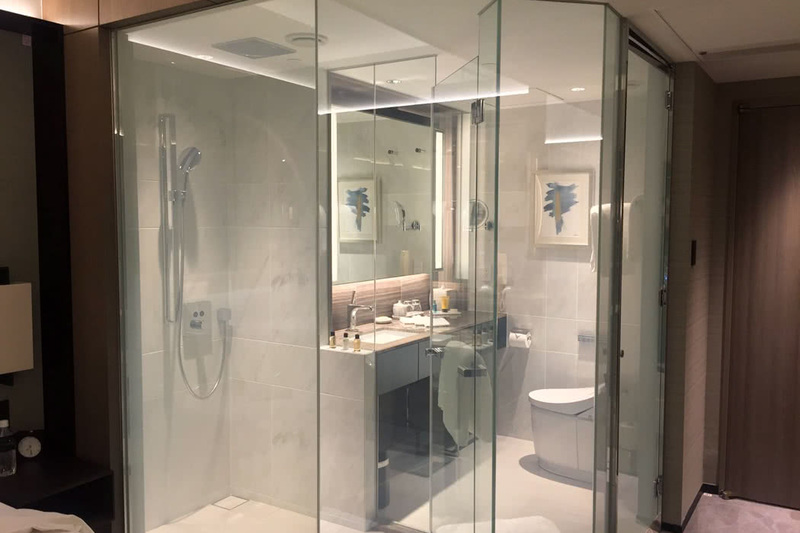 It seems as though the bathroom and shower space is separated by glass. 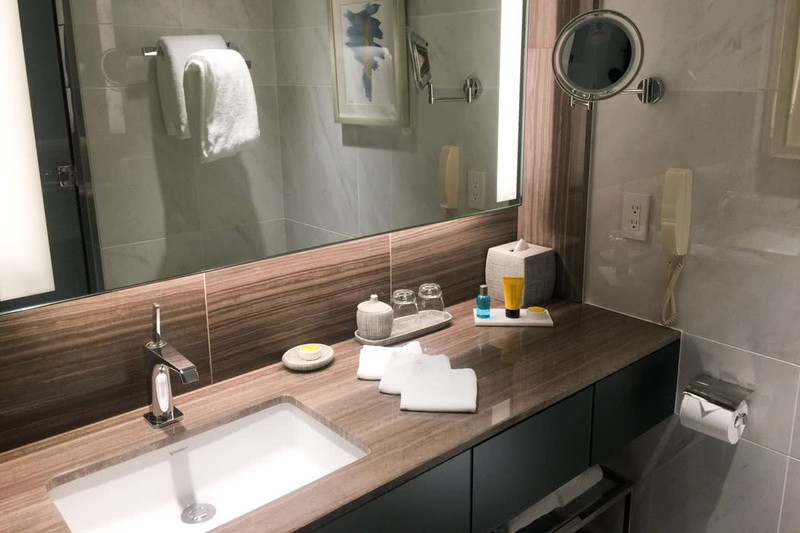 However, upon walking into the bathroom, the glass immediately became opaque! The motion sensor technology, coupled with the electro-chromatic glazing technology of the glass, brings the concept of the smart Japanese bathroom to a whole new level. 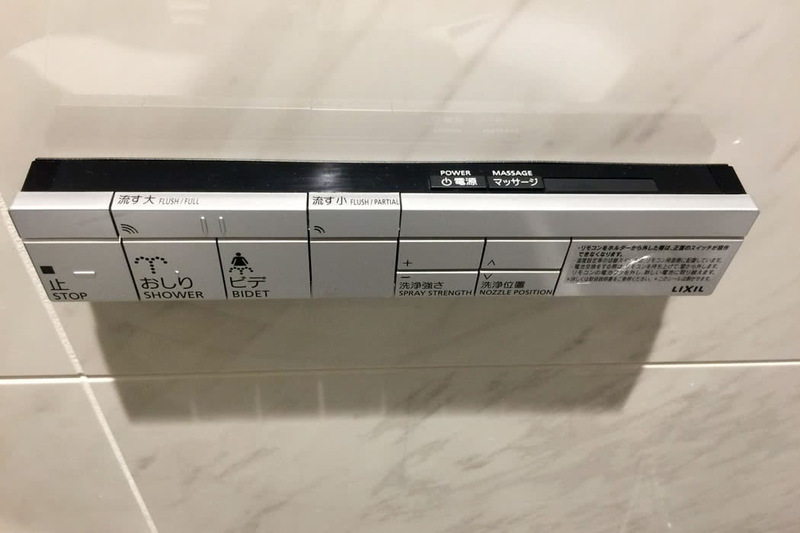 Of course, needless to say, there is a smart Japanese toilet, with multiple special functions, including one I have never seen before – massage! The shower space in the bathroom is spacious and features a regular shower and rain shower. 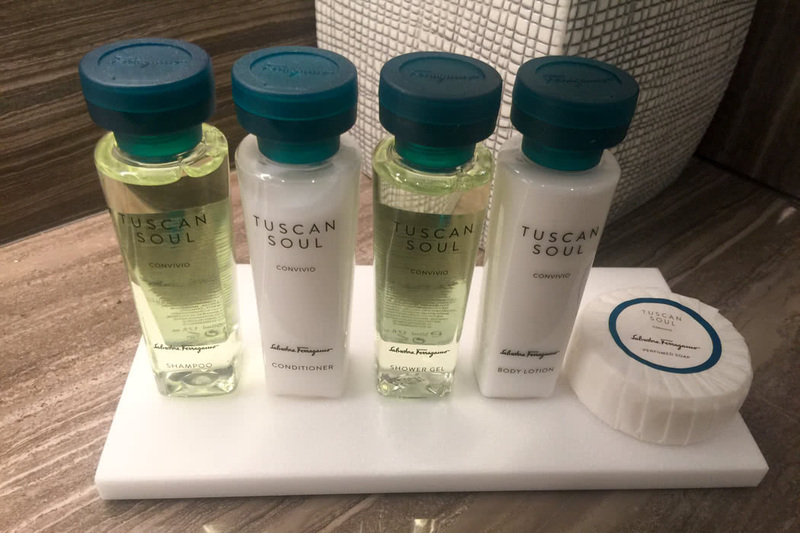 The amenities in the room are also in the process of being changed, from the renowned spa brand THANN to Salvatore Ferragamo’s luxurious Tuscon Soul collection. The fragrance of both the brands were floral and soothing. The Club room comes with access to the great Club Lounge, which I have separately reviewed. 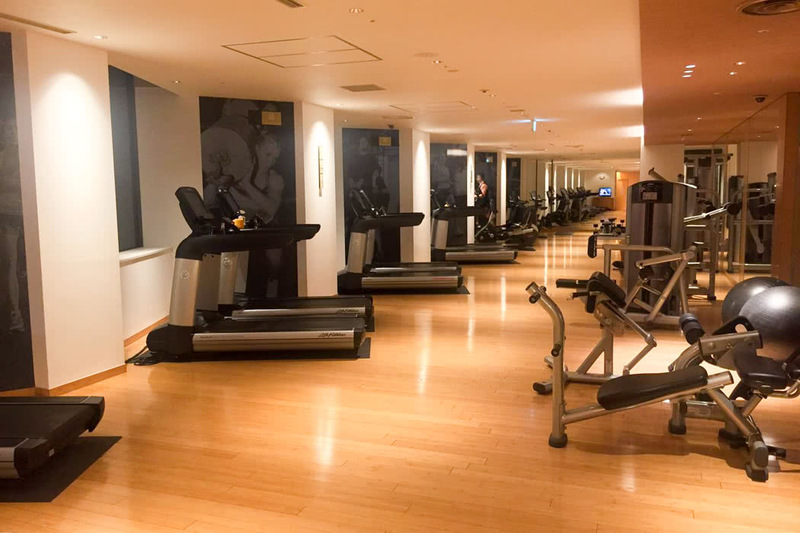 Other facilities available in the hotel includes a fully equipped gym, a pool with views of the Tokyo tower, and a sauna in the changing rooms. In my three nights in the hotel, my room was meticulously maintained. All the staff that I came across with were friendly and greeted me with smiles. The level of hospitality was superb, reflecting the graceful and warm spirit of ‘Omotenashi”, or Japanese hospitality. I slept very well, and the great location allowed me to visit other parts of Tokyo easily. 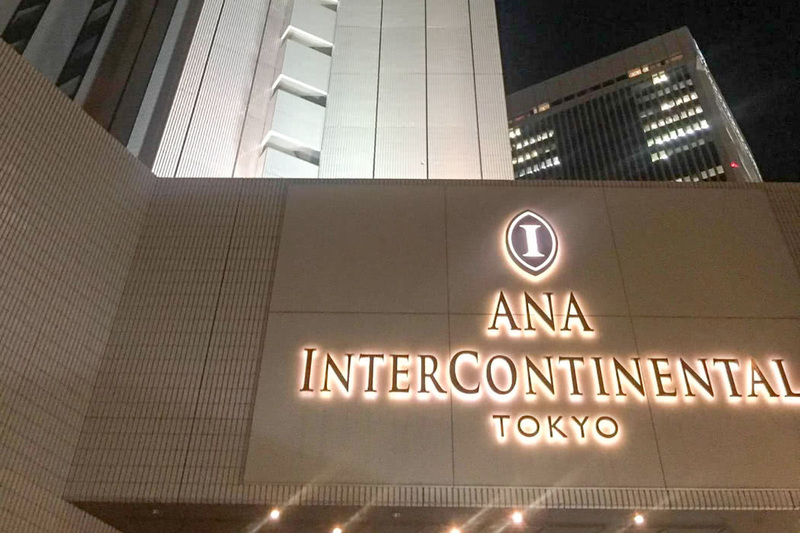 Overall, I thoroughly enjoyed my time at the ANA InterContinental Tokyo Club room. I highly recommend this hotel, and would not hesitate to stay here again in the future! 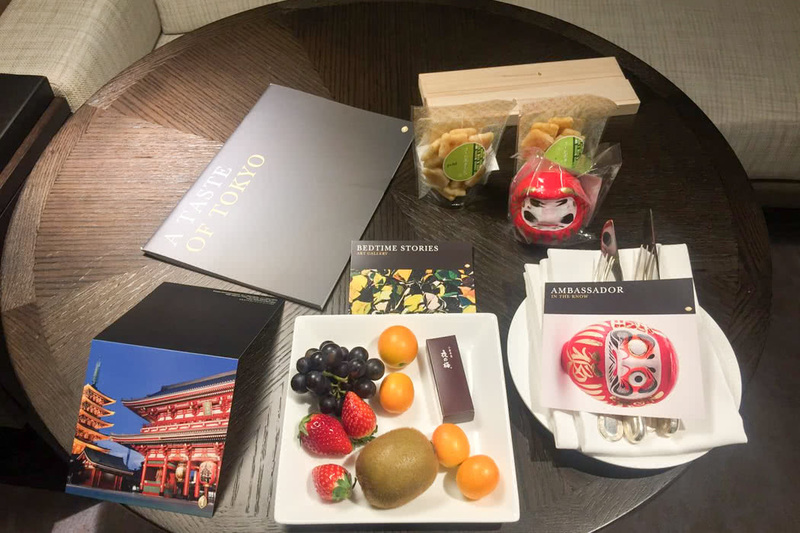 We are huge fans of Intercontinental hotels, having recently reviewed Intercontinental London the O2, InterContinental Amstel Amsterdam and we also love the Club Lounge at the London, Park Lane Intercontinental. If you decide to book this hotel, it is worth doing so via our luxury travel concierge. We offer benefits such as complimentary upgrades, breakfasts, room credit and more at most luxury hotels.